Who doesn’t like the sound of “income for life”? 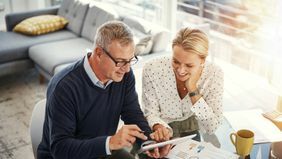 Yet many people shy away from considering annuities, even though they are one of the few retirement planning vehicles that can actually provide dependable income to help cover future expenses, in some cases for as long as you live. To help you understand their place in a sound retirement plan, let’s set the record straight on some of the common annuity myths. Sure, there are fees associated with annuities, but that doesn’t mean all annuities are expensive. 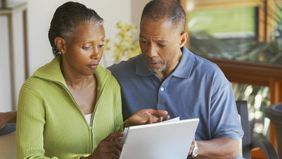 The key is to understand the type of annuity you’re considering and the services and features it offers, and then weigh those against your other options. 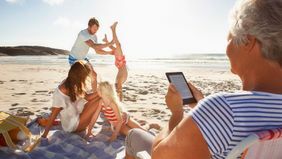 For example, annuities offer valuable benefits and optional features, including tax deferral, a guaranteed minimum death benefit and income guarantees, that aren’t typically provided by other investment options. Choose only the features you really want and work with a financially solid and reputable company that is fully transparent about its fees. The one exception is if you purchased an immediate income annuity and select the “life only” payout option. Once annuitization begins, your income payments will continue only for as long as you live. Of course, optional payout features can add to the cost of your annuity, so be sure you carefully weigh the costs and benefits for any annuity you may be considering. Maybe, but each of us faces two wild cards when it comes to building retirement security: 1) You don’t know how long you’ll actually live, and 2) you don’t know how the markets will behave in the future, which means you run the risk of running out of money sooner than you planned. A fixed annuity can help you protect all or a portion of your savings from stock market losses while you generate a reliable income stream that will last for a set period of time or your entire life, no matter how long you live. COMMON ANNUITY MYTH NO. 4: ONCE YOUR MONEY IS IN, YOU CAN’T GET IT OUT. Many annuities today give you the option of withdrawing a portion or all of your savings before retirement, often without a penalty. Once you turn your savings into an income stream at retirement, you may have limited, if any, access to transfer the money out of your account. If you are able to withdraw money, your future income will decrease. Annuities can be a great saving and income tool for anyone, regardless of age — just ask one of the thousands of younger American workers who are using annuities as a tax-deferred way to sock away extra money for the future. A variable annuity1 can be a great place to save money for retirement if you have maxed out your 401(k) at work or if you’re planning to roll over a workplace retirement plan because you’re changing jobs. 1All investments carry some level of risk, including potential loss of principal. Withdrawals from variable annuities may be subject to ordinary income tax, a 10 percent IRS penalty if taken before age 59 ½, and contractual withdrawal charges. Annuities are contracts sold by life insurance companies and are considered long-term investments that may be suitable for retirement. All guarantees associated with annuities and income plans are backed solely by the claims-paying ability of the issuer.